Lavish Surprises – Planning surprises for special events – Hyderabad, India. Lavish Surprises is known for planning surprises for special events. Our best surprise planning services include Birthday’s, Wedding Anniversary, Valentine’s….. Looking for birthday party organisers in Hyderabad? Are you looking for birthday party organisers in Hyderabad? 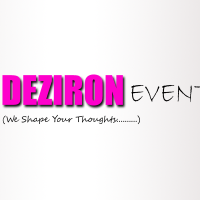 Deziron Events is a…..
flat no:503, chaithanya co-operative bank building, chaithanyapuri, dilsukhnagar.